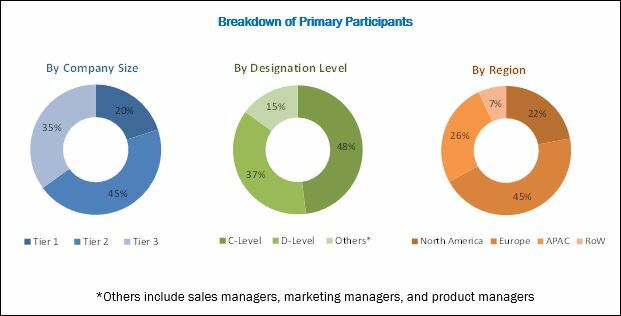 [119 Pages Report] The container monitoring market accounted for USD 144.1 Million in 2016 and is projected to reach USD 706.2 Million by 2022, at a Compound Annual Growth Rate (CAGR) of 33.0% during the forecast period. The base year considered for this study is 2016, and the forecast period is 2017–2022. The rapidly growing DevOps, benefits of cost-effectiveness and increased productivity, and increasing popularity of containers and microservices are some of the major factors fueling the growth of the global container monitoring market. The container monitoring ecosystem includes several container monitoring solution and service providers, such as CA Technologies (US), AppDynamics (US), Splunk (US), Dynatrace (US), Datadog (US), BMC Software (US), Sysdig (US), SignalFx (US), Wavefront (US), and CoScale (Belgium). Other stakeholders in the container monitoring market include Cloud Service Providers (CSPs), developers, Independent Software Vendors (ISVs), system integrators, consulting companies, and enterprise customers. 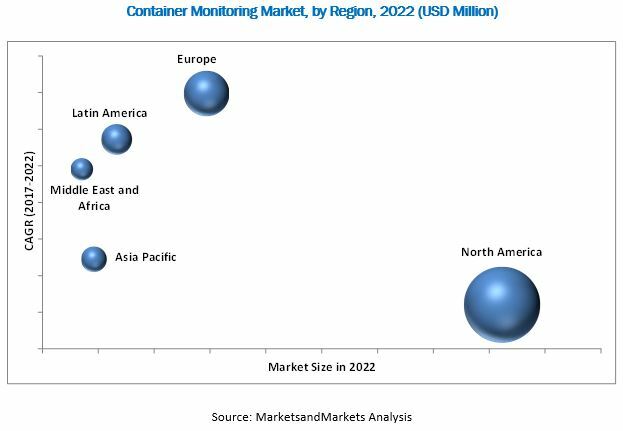 The container monitoring market is expected to grow from USD 169.6 Million in 2017 to USD 706.2 Million by 2022, at a Compound Annual Growth Rate (CAGR) of 33.0%. The demand for container monitoring is driven by many factors, such as increasing DevOps, benefits of cost-effectiveness, increased productivity, and increasing popularity of microservices. The container monitoring market has been segmented on the basis of components, operating systems, deployment modes, organization size, verticals, and regions. Among the professional services, the training and development segment is expected to grow at the highest CAGR during the forecast period, and the consulting and integration segment is estimated to have the largest market size in 2017 in the market. Container monitoring offers insights into how the applications are connected to the container, how do container metrics relate to application workloads and the application performance. The adoption of container monitoring solutions and services among various enterprises has increased, due to the various benefits, such as faster development and deployment of applications, and optimum utilization of resources. Among the deployment modes, the cloud segment is estimated to hold the largest market share in 2017. The cloud solutions are comparatively cheaper than the on-premises deployment mode. Hence, enterprises with budget constraints tend to choose the cloud deployment mode. The cloud deployment model offers various benefits to enterprises, such as scalability, reliability, and flexibility. North America is estimated to have the largest market share in 2017, whereas the Europe region is projected to grow at the highest CAGR during the forecast period in the container monitoring market. The increasing use of microservices and the growth of DevOps is driving the demand for container monitoring globally. North America is estimated to hold the largest market size in 2017. Increasing DevOps and organization’s focus on digital transformation are driving the need of container monitoring solutions. Furthermore, rapid economic growth in the major countries, along with organization’s need to deliver enriched experience to their customers is driving the container monitoring market growth across the globe. In Latin America, SMEs as well as large enterprises, belonging to a range of verticals, such as Banking, Financial Services, and Insurance (BFSI); government defense; and IT and telecommunications, are expected to increase their investments in container monitoring solutions and services. Adoption of container monitoring is increasing in the market, owing to the increasing need for resource optimization and operational simplicity. However, the major issue faced by enterprises while adopting container monitoring is the difficulty in monitoring container sprawl. The major vendors providing Container monitoring are CA Technologies (US), AppDynamics (US), Splunk (US), Dynatrace (US), Datadog (US), BMC Software (US), Sysdig (US), SignalFx (US), Wavefront (US), and CoScale (Belgium). These players have adopted various strategies, such as new product developments; partnerships and collaborations; mergers and acquisitions; and business expansions, to expand their presence in the global container monitoring market.